Believe it or not, there’s more than one way to tow a vehicle. Actually, there are a fair few ways to tow a vehicle, and not all of them are suited to every vehicle or every scenario. Here at Towing Riders, we’ve compiled this quick breakdown of the differences between towing types. 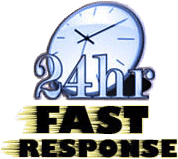 The ideal choice for most cars, motorcycles, and SUVs, flatbed towing requires a vehicle to be loaded onto the flatbed of a specialist towing vehicle. When secured, the vehicle can then be transported safely, without further risk of damage. A towing dolly can be attached to the back of a truck and used to tow light and medium-duty vehicles. The vehicle is carried on the dolly, a few inches above ground level. Anybody attempting to use a tow dolly should be familiar with towing trailers or second-party vehicles. Towing using a tow bar is a simple form of towing that requires attaching a tow bar from one vehicle to another. Towing ropes can be used in a similar fashion. A somewhat archaic form of towing, hook and chain towing sees a tow truck use a crane (with attached hook and chain) to lift the front or rear of a vehicle off the ground. This has become an unpopular method of towing due to the high risk of damage to the vehicle being towed. Sort of a halfway house between dolly towing and hook and chain towing, wheel lift towing requires both the front or rear wheels of a vehicle to be attached to a special yolk-type device. The vehicle is then lifted and transported with two wheels on the ground. Large trucks, buses, caravans, trailers and other heavy-duty vehicles require specialist towing. Heavy duty tow trucks are generally used, with the type of truck depending on the load. Some heavy duty tow trucks use methods similar to flatbed towing while others use wheel-lift principles. All should be carried out by highly-trained personnel only. Whatever type of towing services you’re on the hunt for, Towing Riders is more than happy to help. 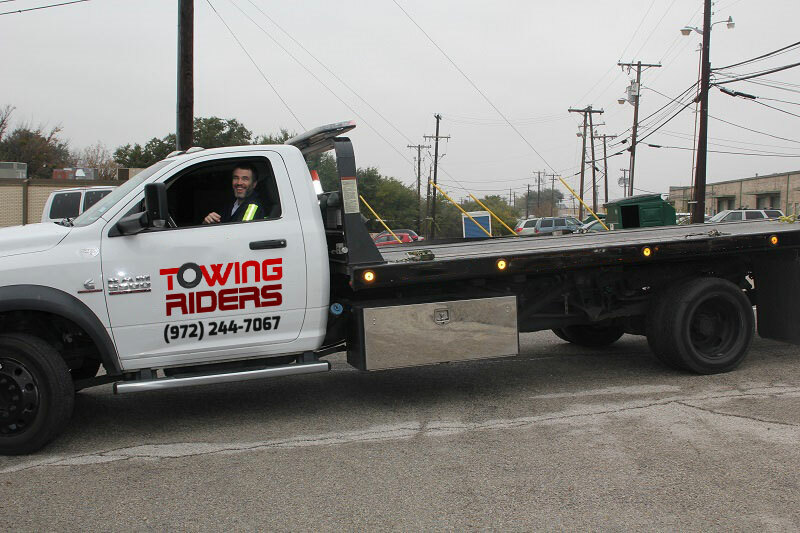 With a fleet of tow trucks and a team of professional tow truck technicians at the ready, our towing services are available throughout Dallas and much of the DFW area.